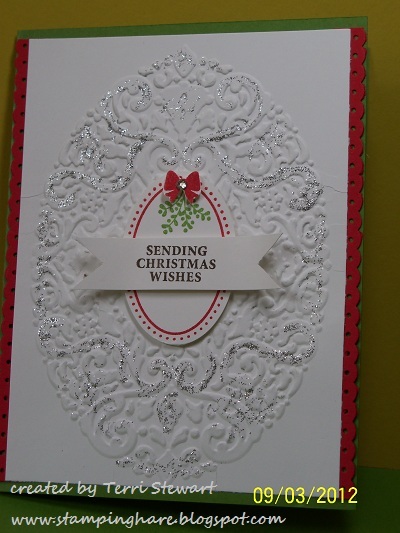 I am teaching a monthly Christmas card club. 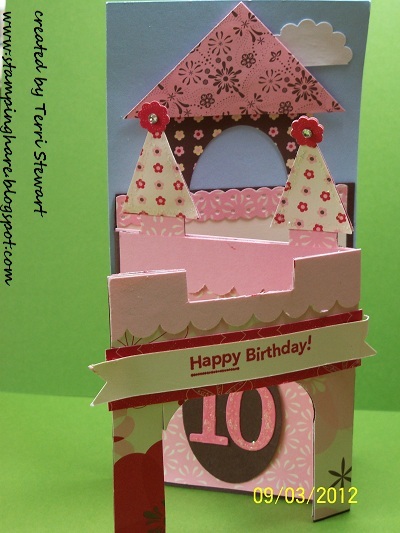 Each month the club members make 4 cards, 2 each of 2 designs. I love it and they do, too! I made a video showing how easy these banners are to make. 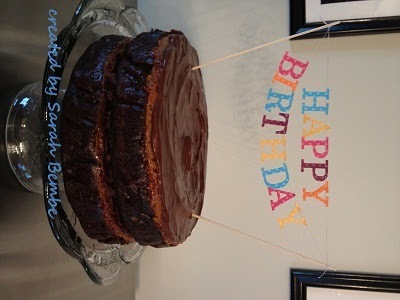 I didn't get a still photo of the baby shower cake banner shown in the video once it was on the cake, but the video has great shots of the banner. I've weathered the beginning of a new school year. The whirlwind is winding down and I have finally caught my breath. I've found a minute or two to make a schedule for upcoming stamping classes and I am looking forward to stamping with you over the coming months! 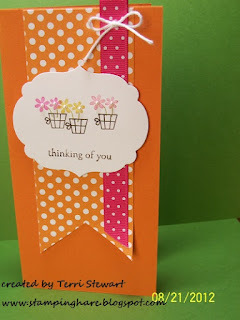 Monday, September 24th, 7 to 9pm --- the club will make 4 cards, 2 each of 2 designs, plus one ornament. 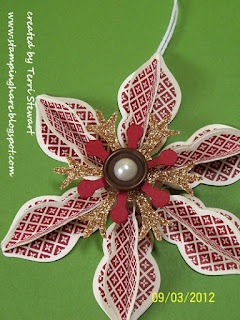 The cards made this month are inspired by samples featured in the Holiday catalog. Club members place a minimum $35; for non-club members the tuition is $10 or FREE with a minimum $30 order. RSVP today! 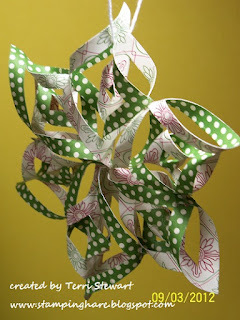 Tuesday, September 25th, 7 to 9pm -- the club will make several Christmas ornaments inspired by the Holiday catalog. Club members place a minimum $25; for non-club members the tuition is $10 or FREE with a minimum $20 order. RSVP today! Make 10 treat bags using the Ghoulish Googlies Designer kit (found on page 27 of the Holiday catalog). These bags are perfect for the office, classroom treats, party favors, etc. Class tuition is $15 (includes the kit). 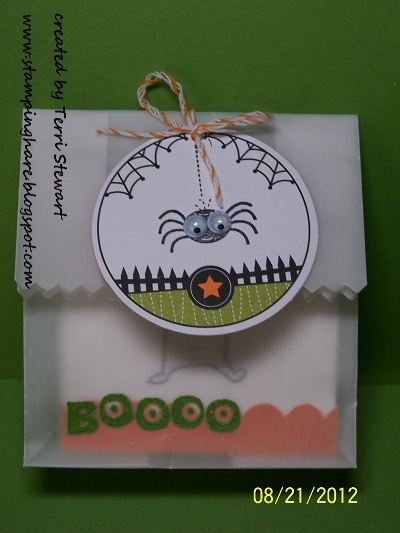 Want the coordinating Googly Ghouls stamp set? Buy the bundle and the class is FREE (bundle costs -- clear $20 or wooden $25)! RSVP and pre-pay tuition (or bundle) by October 1st. 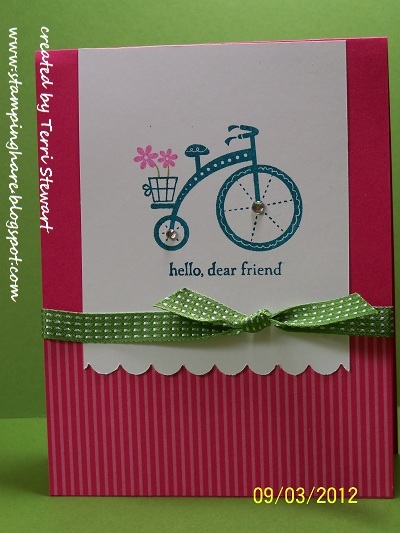 Make 3 cards using the Moving Forward stamp set; class tuition includes the purchase of the Moving Forward stamp set. Stampin Up donates $3 from the purchase of this set to the Ronald McDonald House Charities (RMHC) see page 209 of the annual catalog for more information. Class tuition -- $22 clear stamp set or $28 wooden stamp set. RSVP and pre-pay tuition by October 15th. 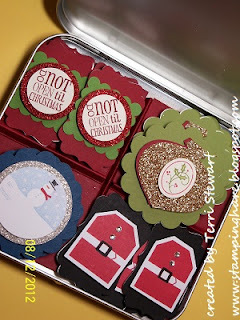 Make 5 Christmas cards using Stampin Up's Snow Festival Printed tags (page 12 of the Holiday catalog) and note card & envelope set (page 160 of the annual catalog). 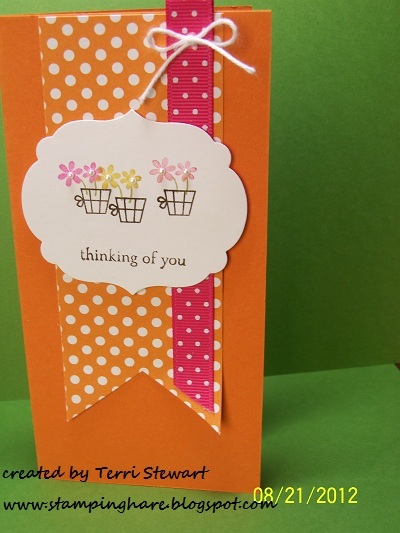 Class tuition includes the printed tags and note card set; with the supplies remaining after the class, you can make 15 more cards at home! Class tuition is $15 (or FREE with a minimum $30 order); RSVP and pre-pay tuition by October 21st. Perfect for a last-minute hostess gift or dress up your holiday gifts! Make 16 festive Christmas gift tags and a coordinating decorative tin. Class tuition is $10 (or FREE with a minimum $30 order); RSVP and pre-pay tuition by November 5th. 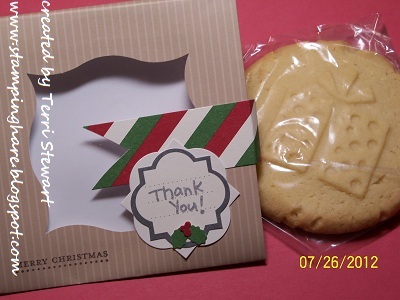 These cookie gift bags make great teacher, co-worker, or neighbor gifts---just add your favorite cookies! Tuition includes the Season of Sweets Designer kit (see pg 15 of the Holiday catalog) with materials for 12 cookie bags. Class tuition is $12 (or FREE with a minimum $30 order); RSVP and pre-pay tuition by November 15th. 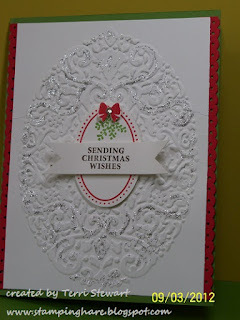 Make a fabulous 2-page holiday scrapbook spread. 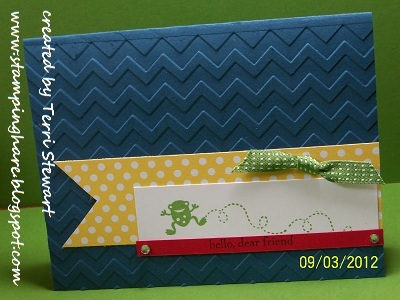 A great gift for your favorite scrapbooker--or keep it for your own scrapbook! 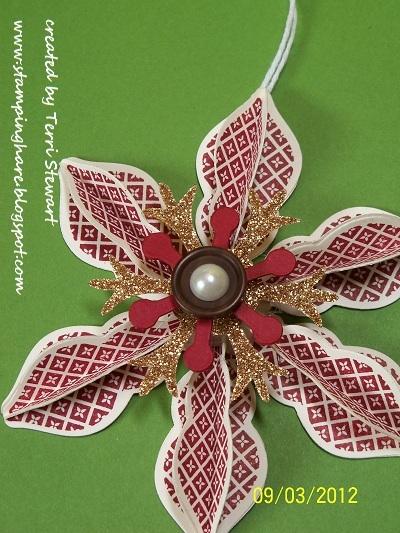 All materials included in the Snowflake Season Simply Scrappin' Layout kit (see pg 21 of the Holiday catalog). Class tuition is $13 (or FREE with a minimum $30 order); RSVP and pre-pay tuition by November 21th. September is Back to Spool time! For every $40 ordered, pick a FREE roll of 3/8" stitched satin ribbon. Orders can be placed online, in person, or on a workshop order. Details here. Shop now--my online store is open 24/7! I was again inspired by a card I saw on Pinterest and had to make it, then loved it so much I made a video about the card. My daughter's birthday was last month. Once I saw a tri-fold castle card made by Lisa Young on Pinterest, with a written tutorial on her blog addinkandstamp.blogspot.com, I knew this was the card I would make for my daughter. What do you think? 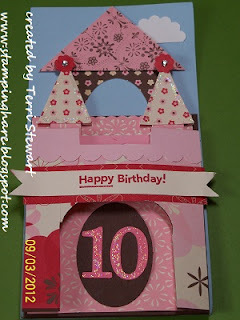 Could you have resisted making this card?? I thought the card was so cute I had to make a video to prove it!! 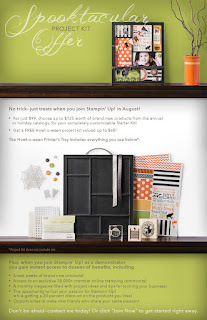 Stampin Up promotions: These promotions end soon, take advantage of them today! September is Back to Spool time! For every $40 order pick a FREE roll of 3/8" stitched. 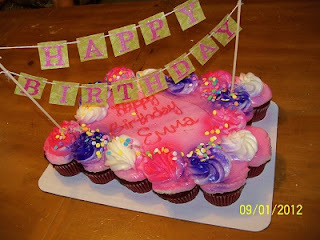 Orders can be placed online, in person, or on a workshop order. Details here. Shop now--my online store is open 24/7! 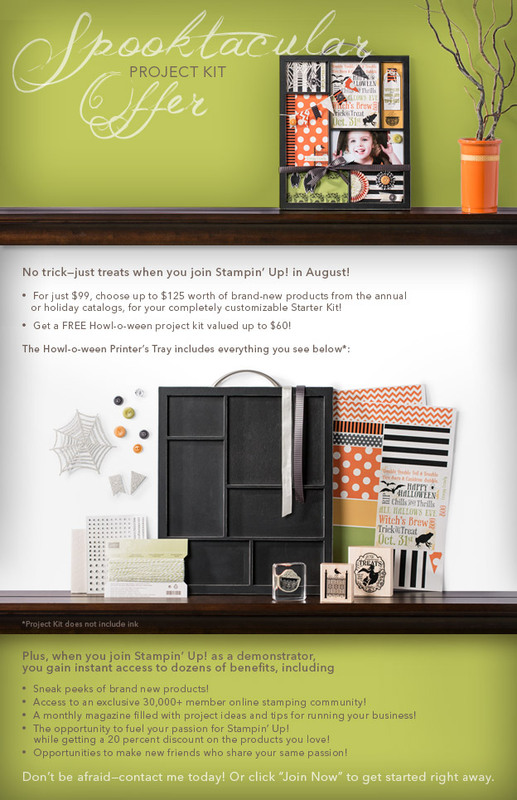 Sign up to be a Stampin Up demonstrator by 16 September and received a Howl-o-ween printers tray kit with everything needed to decorate it with a Halloween theme; use removable adhesive and the theme can easily be changed through out the year! In addition to the Howl-o-ween kit, you will also receive $125 worth of products of YOUR CHOICE for ONLY $99 (FREE SHIPPING, TOO!) That is a savings of over $35! Click here to learn more about the benefits of being a Stampin Up Demonstrator and join my team today! 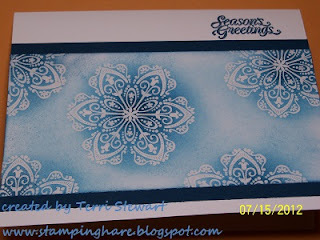 I saw a holiday card on the Stampin Up demo-only website that I thought was so beautiful I couldn't wait to copy it! And then I loved it so much I included it a club project and still loved it so much I made a video showing how to make it. That's a lot of love! Thank you Paula Dobson for sharing the original inspirational card!!!! This card uses one of Stampin Up's most popular stamp set, and one of my favorites, Mixed Bunch. I just saw the MOST inspiring video.....and I need to share before I dig out my blender!!! Check out this video and tell me if you aren't also ready to dust off your blender! And with the long holiday weekend, I am sure this is also an excuse to make a few adult blender drinks! Oh the fun I'm gonna have!!!! 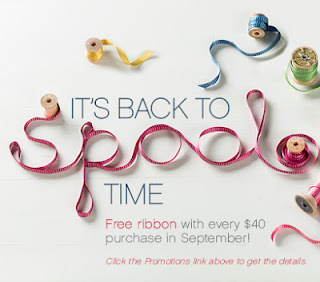 All this craziness is to celebrate September's Back to Spool promotion....for every $40 of Stampin Up products you order, you get to select your favorite spool of 3/8" stitched satin ribbon. Details here. I'd love to know what you plan to embellish with your FREE ribbon!